ComCashew is a multi-stakeholder partnership project, with 17 public and private partners making up a steering Board that meets twice a year. These partners contribute significantly to the success of the project with their cash and in-kind contributions. Contributions are bilaterally agreed upon in a simple Memorandum of Understanding (MoU) or other more binding agreements (e.g. PPP contracts) and defined in the eligible contributions reporting form. The drop down menu below summarizes the composition of the ComCashew Board as of October 2018: discussions with additional potential Board Members are ongoing. 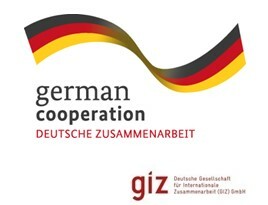 Deutsche Gesellschaft für Internationale Zusammenarbeit (GIZ) GmbH is an international cooperation enterprise for sustainable development which supports the German Government in achieving the objectives of its development policy. It provides viable, forward-looking solutions for political, economic, ecological and social development in a globalized world. GIZ is ComCashew's lead implementing organization. Fair Match Support is a non-profit organization based in the Netherlands. It stimulates the development of sustainable supply chains from developing countries. Fair Match Support operates the supply chain, linking all actors: From small-scale producers in developing countries to end consumers in developed countries. Fair Match Support is a major player in the cashew sector in Africa. The African Cashew Alliance (ACA) was established in 2006 as an association of African and international businesses with an interest in promoting a globally competitive African cashew industry. The Alliance currently serves as representative of the private sector and other aspects of the cashew value chain, including producers, traders, and international buyers. The German Federal Ministry for Economic Cooperation and Development (BMZ) develops the guidelines and the fundamental concepts on which German development policy is based. All efforts are formed by the United Nations' Sustainable Development Goals. 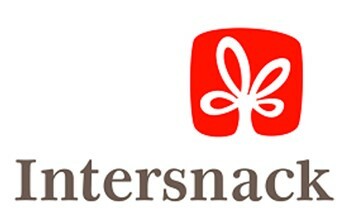 Intersnack is one of the leading savoury snack companies in Europe, with a turnover of € 1.5 trillion. The product portfolio comprises international brands, examined as Chio and POM-BEAR, as well as local favorites in regional markets. Olam International is a leading global integrated supply chain manager of agricultural products and food ingredients. With direct sourcing and processing in most major cooperation countries, Olam has built a global leadership position in many of its businesses, including cocoa, coffee, cashew, sesame, rice, cotton and wood products. 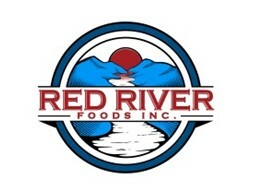 Red River Foods is a leading US importer of a wide variety of tree nuts, dried fruit, seeds, and specialty snack products. They supply the bakery, confectionary, cereal, dairy, and snack food industries with the finest quality product ingredients. Red River operates from four offices strategically located near major ports on the east and west coasts of the United States. Red River enjoys a worldwide reach, serving a loyal customer base of over 150 companies with over 50 product varieties sourced from more than 20 countries around the globe. The Swiss State Secretariat for Economic Affairs (SECO) is the federal government of Switzerland’s centre of excellence for all core issues relating to economic and labour market policy. The aim of SECO is to contribute to sustained economic growth, high employment and fair working conditions, by creating the necessary regulatory, economic and foreign policy framework. The activities of ComCashew in Ghana are cofinanced by SECO through its Ghana Private Sector Competitiveness Program (GPSCP). The Kraft Heinz Company is the fifth-largest food and beverage company in the world. A globally trusted producer of delicious foods, Kraft Heinz provides high quality, great taste and nutrition for all eating occasions. The Company's most iconic brands include Kraft, Heinz, ABC, Capri Sun, Classico, Jell-O, Kool-Aid, Lunchables, Maxwell House, Ore-Ida, Oscar Mayer, Philadelphia, Planters, plasmon, Quero, Weight Watchers Smart Ones and Velveeta. The Kraft Heinz Company is dedicated to the sustainable health of our people, our planet and our Company. The sustainable trade initiative (IDH) has developed from a small public-private partnership (PPP) facility to an increasingly agile, resourceful and knowledgeable actor in the field of global sustainable production and trade. The initiative is seen as an example of modern, business-like international public-private cooperation. The Trade & Development Group with its subsidiary Whitebird International (WBI) and Trade Development International (TDI) is Europe's leading company in brokering nuts and dried fruits. The main goal of the project is to provide a fair view of the economy as a whole. The United States Agency for International Development (USAID) is the lead U.S. Government agency that works to end extreme global poverty and enable resilient, democratic societies to realize their potential. USAID is convening like-minded strategic partners to sponsor and co-invest in a blended working capital facility providing loans for procurement of RCN (Debt Partners, Investment Limited Partners and Governments). Walmart started as a small single discount store and the simple idea of selling more for less, has grown over the years into the largest retailer in the world. Today, nearly 260 million customers visit Walmart’s over 11,500 stores under 63 banners in 28 countries and e-commerce sites in 11 countries each week. INCAJU is the mandated body in Mozambique that regulates the cashew sector. Its functions include the development of policies for the promotion of production, the provision of technical support in cashew (pests and tree management), the promotion of the cashew industry in order to increase the local processing of raw cashew nuts (RCN), service delivery as well as monitoring and evaluation of the cashew value chain. As a public entity, INCAJU receives the financial contribution from the RCN exporters. Le Conseil du Coton et de l'Anacarde (CCA) is a constitutional body mandated to regulate the cotton and cashew sector in Cote d’Ivoire. Amongst others it supervises a regulatory framework and environment for better governance of the two sectors and to ensure fair remuneration of all actors. 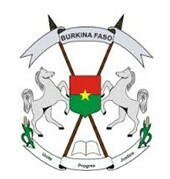 The Ministry of Agriculture and Food Security is responsible for the implementation of policies defined by the Government of Burkina Faso in agriculture in connection with the ministerial departments and public or private agencies. The Ministry of Food & Agriculture of the Republic of Ghana (MOFA) has the mandate to promote sustainable agriculture and thriving agribusiness through research and technology development, effective extension and other services to farmers, processors and traders for improved livelihood.